Growing Greens is our original one size organic cotton diaper, fitting most babies 5-35 lbs. 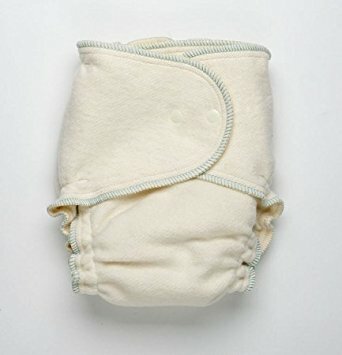 The two part diaper system is constructed entirely from the softest fleece knit made from hemp and organic cotton grown in the US, 100% unbleached cotton thread and natural rubber elastic. Another benefit of using hemp diapers is that hemp has no known insect predators and requires no pesticides or herbicides to grow, so it’s safe to put next to baby’s skin and easy on our earth's environment.